About David C. Johnson, M.D., F.A.C.S. David C. Johnson, M.D., F.A.C.S. is a board certified General Surgeon who has been practicing since 1987. He is a native Arizonian who graduated from Arizona State University prior to completing his medical degree at the University of Arizona College of Medicine. In addition, he is a certified instructor of advanced trauma life support. Dr. Johnson is a member of the American Society for Metabolic & Bariatric Surgery, the Eastern Association for Surgery of Trauma, and the Society of American Gastrointestinal Endoscopic Surgeons. After serving as the Medical Director of Banner Mesa Bariatric Program, Dr. Johnson was the Chief of Staff at Mountain Vista Medical Center and is now their Director of Trauma. He is also a member of Arizona Associated Surgeons. Arizona Associated Surgeons was established with the goal of providing state-of-the-art treatment through evidence-based surgery, which involves using the best current scientific research in making decisions about patient care. Dr. Johnson is skilled in using the latest medical technology to perform surgery. 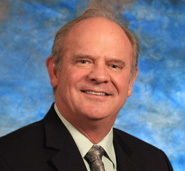 He employs both traditional and modern laparoscopic techniques such as robotically assisted surgery, and incisionless surgery for acid reflux. As a private practice general surgeon, Dr. Johnson focuses on providing minimally invasive solutions to a broad range of medical conditions, including hernia repair, acid reflux, and treatment for breast cancer and thyroid conditions. He continues to explore ways to make procedures as non-invasive as possible, affording patients greater comfort, quicker recovery, and minimal pain and scarring. Anna J. - "Dr. Johnson is one amazing man and doctor. His Staff is great, he is great and I would tell the world about him... He listens to you and gives great answers and wants to help you!! :) What a great Man!!!" Jennifer W. - "Dr. Johnson performed my gastric bypass in February of 2010. I am still very thankful to him and very pleased with the surgery outcome. I had no side effects or complications. He was very patient and helpful. "